Come on in, look around, discover all we have to offer. Over 700+ videos and growing, availability to add lesson plans to to your membership level, discover Coach Martin’s “Fight Skills” package which can add even more to your membership. 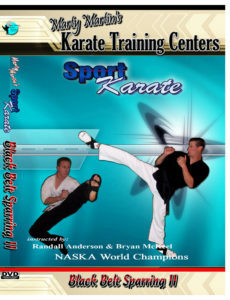 Look around take advantage of the free training areas including both self defense and sparring, discover how to add to your personal training library and when you’re ready to join go to the membership page and select the level of training thats right for you. Welcome to Marty Martin Karate. For complete information, prices and full descriptions of the training material click “Join Now”. You can sign up for our free membership and newsletter by visiting the following click here. This will give you access to my blog, free content, and sign you up for my newsletter. You can cancel anytime. Check out our free videos. Sign up for a free membership to see more. 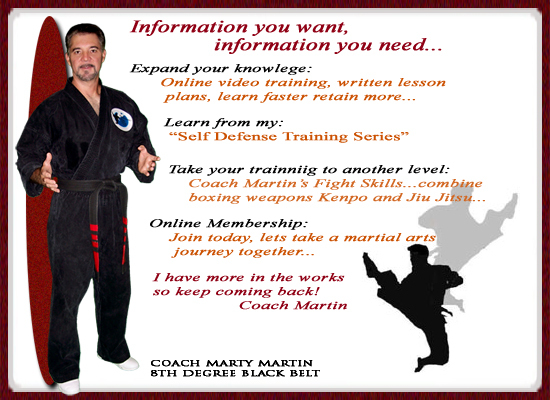 You’ve decided you need to defend yourself, you want to learn to defend yourself, but don’t where to start…the answer is right here… Marty Martin Karate “In Self Defense Video Training Series”. 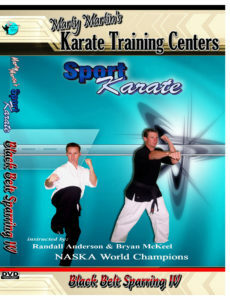 Learn the building blocks of karate. Learn how to use these moves to defend against just about any attack you can think of. Learn how to take moves from one technique and apply them in differing situations. 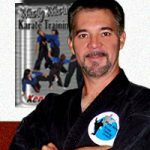 Let Coach Martin guide you through your training, develop and explore your personal growth as a martial artist and as a person. Get access to this video training material by joining Coach Martin’s Level 1 training section for only $14.95 per month. 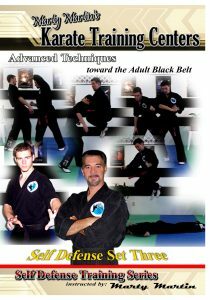 Building Block Set One, Key Set and Self Defense Set One. These three sets set the foundation for your “skill set” development. The “Key Set” teaches you the practical application of the moves learned in building block set one for beginning level students. This set developments and explores different responses to straight line attacks, this provides with the opportunity to discover what works best for you. The set is provides the student with the tools needed to respond to a variety of situations which will be learned as your training progresses at the intermediate level of self defense training. Someone grabs your shirt and gets in your face, an attacker twists your arm behind your back, an assailant grabs you by the throat – they are choking you…“Self Defense Set One” teaches you how to protect yourself against these attacks plus 17 more!!! Don’t let yourself get beaten up – Learn how to defend yourself!!! 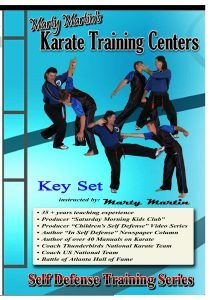 Learn step by step what to do with Coach Marty Martin as your personal instructor. 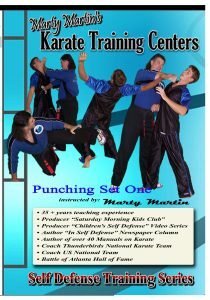 Punching Set One, Knife Set One, Two Attackers. These three sets bring your training to the intermediate skill set level. You tried your best to talk your way out of a confrontation, suddenly here comes a punch – how will you respond? Learn to use angular footwork, combination kicks, spinning moves, left side combinations, both hard and soft style motion, defend against a more powerful opponent, different directional takedowns, and the use of a lethal “closing” move. “Punching Set One” demonstrates techniques which will provide you with an excellent beginning to defensive actions against just about any type punch an opponent can throw at you!!! You find yourself in a convenience store and a knife wielding robber turns their attention toward you…they thrust a knife directly at you…do you freeze or do you evade their knife thrust and throw them onto their back with an outside wristlock throw? Learn to use the “block and counter” principle to control and setup your knife disarms. Learn how to “lock” the opponents arm to control the knife, learn to use joint lock manipulation takedowns and apply your opponents own direction and weight against the attack. 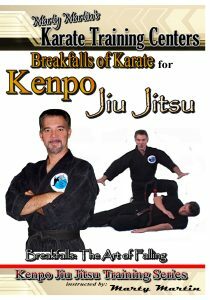 This set uses and teaches the principles of Jiu Jitsu and strikes from Kenpo. A great starter set for defending against a weapons attack!!! Oh *#^* there are two of them! Are they both going to gab and hit you? There’s someone in front of and behind you at the same time, now what? Two assailants grab each of your wrists and try to force you around – how do you get out of these situations? Let Coach Martin teach you how to apply the “small circle” of Jiu Jitsu if they do grab you; learn how to turn one attacker against the other. Learn a simple way to kick one attacker and punch the other at the same time. Learn to protect yourself against more than one attacker – this is the “Two Attackers”. Self Defense Set Two, Punching Set Two, Knife Set Two. In Coach Martins advanced material learn variations of attacks and responses you learned in the skill sets for beginner and intermediate training. You’ve learned some self defense but your asking yourself the “What if” question. What do I do if my attacker doesn’t do exactly what I thought they were going to? What if what I’m doing isn’t working? 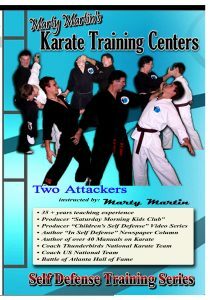 Well – don’t let the what if get the best of you – learn variations to many of the attacks and self defense techniques from self defense set one taught by Coach Marty Martin. 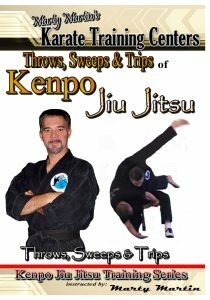 Plus learn the use of take downs and how to work your opponent on the ground. Learning these variations is a must for building your confidence! You find yourself confronted by a bully who just likes to fight? There is always more than one way to get the job done! 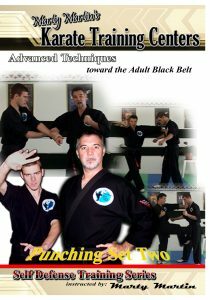 “Punching Set Two” expands your training at a more advanced level teaching you the use of eight specific “Gung-Fu” traps and twelve additional punching defenses. These moves are a great supplement to any martial artist and especially enhance your timing and hand speed. The traps are a great setup for complimenting your other techniques, setup with a trap and follow-up with what you’ve already learned! You are confronted by an attacker who has a knife…you have learned a solid and basic knowledge of knife defense from “Knife Set One”, now its time to become even more effective! 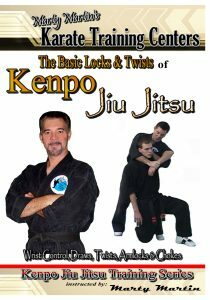 Its time to learn the basic joint locks and twists of Kenpo Jiu Jitsu and the principles of “Arnis” weapons control. This set breakdown is in-depth and goes step by step helping you learn in detail the “how-to” of joint lock manipulation giving you even more control over your knife wielding attacker. 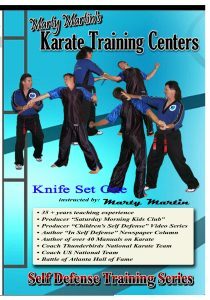 Based on the attack types you learned in the first knife set, this one expands your knowledge base even more!!! 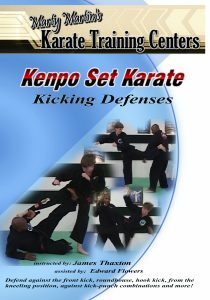 Self Defense Set Three, Punching Set Three, Trapping Set, Kicking Defenses. Continue to expand your understanding of technique variations. At this level of training you are becoming very good at martial arts, round off your training by applying Gung Fu traps and defending kicks. What if the situation you trained for changes? What if an attacker tries to pull your hair? Pushes you or grabs your shoulder and intends to punch your lights out! 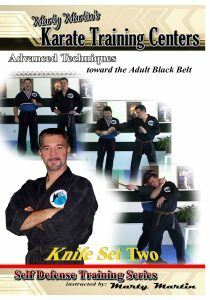 “Self Defense Set Three” answers those questions plus teaches you even more options for techniques you have already learned in the In Self Defense Training Series. More options means you can be better prepared for whatever attack you may be confronted with. More options means more ways to defend when the situations change. Being prepared is better than not being ready to defend yourself or your family. 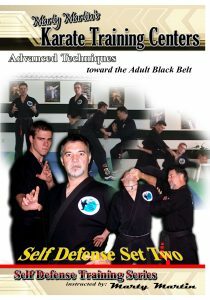 Get more – get “Self Defense Set Three”. The more you know – the more options you have. This set provides just that, more knowledge, more information, more options! 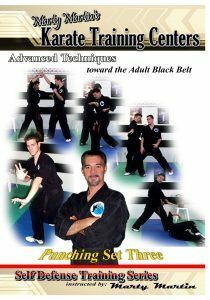 Directed toward the “Advanced” or Brown Belt level of training this is information you need to achieve the Black Belt. 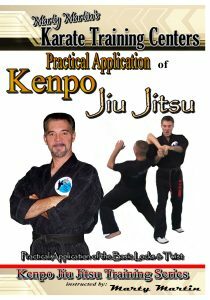 Many of these techniques are rooted in the higher level Kenpo Karate Katas, as such this instructional breakdown guides you to a higher understanding of advanced moves while furthering your skill and knowledge. “You don’t know what you don’t know until you learn more” Coach Marty Martin. James Thaxton and Edward Flowers teach you various ways to defend against kicks. Coach Martin task James to develop this material as his test for James rank of 4th degree black belt. Not only does this teach you kicking defense it shows you the level of knowledge and ability Coach Martin brings out of his students.